It all started with the bar stools — leather seats atop tapered sides, wrapped in sophisticated cheetah print. 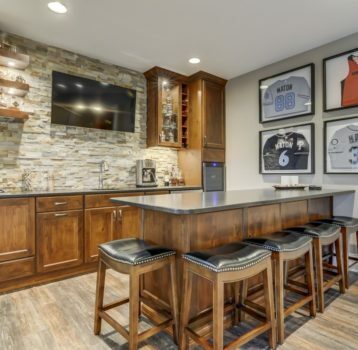 Seriously, the basement remodel centered around these already purchased stools, a desire for display areas for a unique Marilyn Monroe wine bottle collection, and a passion for entertaining family and friends. We started the design for a polished and glamorous space with plenty of outlets for hotplates for entertaining. The homeowners had been working through this spec house bringing their personality into every room. 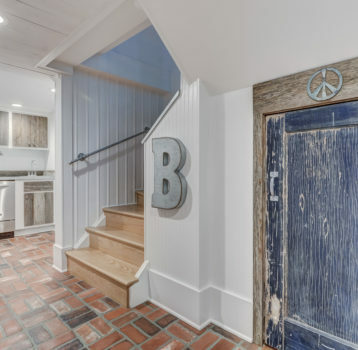 Design woven into absolute functionality was the goal in the basement remodel. 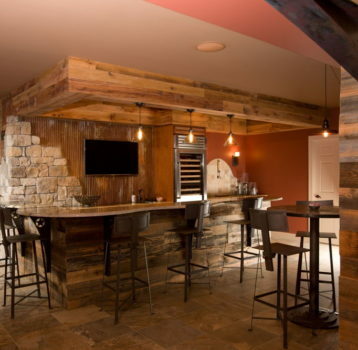 Although the basement presented itself as an open spacious room, a support beam and post seemed to be in just the wrong place to create the bar and entertaining hub. The 9 foot ceilings allowed for a soffit to be built hiding the beam and a wall extended hiding the support. 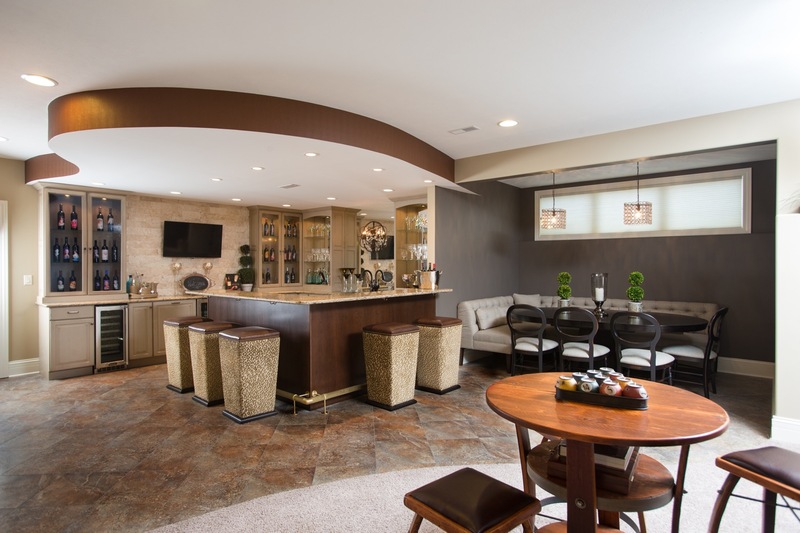 In this case, a “curvy” soffit stylishly defines the bar area and gives it the pizzazz needed to fit the rest of the home, and definitely fitting for the adored cheetah print stools.